These photographs show the construction and excavation for the Pawnee Indian Village Museum in Republic County, Kansas. The Pawnee Indian Museum is the oldest historic site owned by the state of Kansas. The site was listed in the National Register of Historic Places in 1971. Today the site is operated by the Kansas Historical Society as Pawnee Indian Museum State Historic Site. 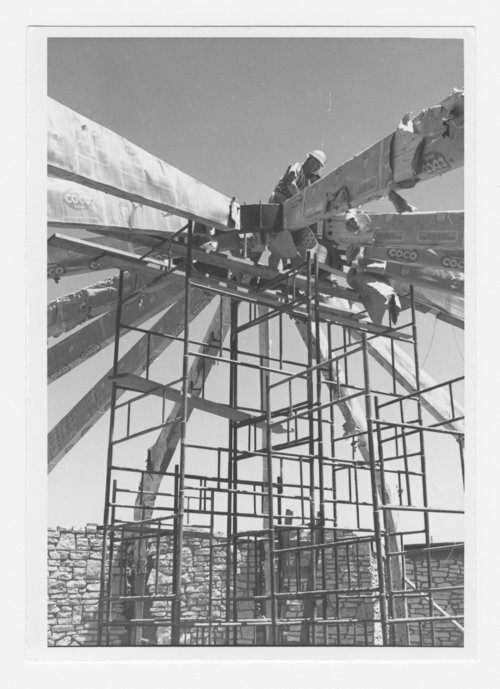 These photographs show the construction and excavation for the Pawnee Indian Village Museum in Republic County, Kansas. The Pawnee Indian Museum is the oldest historic site owned by the state of Kansas. The site was listed in the National Register of Historic Places in 1971.